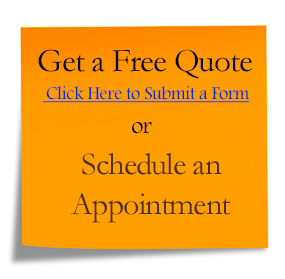 If you have been looking for a radon remediation contractor in Greene County we can certainly help. We are well known in the area for having an unparalleled best quality service at the lowest price points. We are honest, ethical, and strive for every customers good review on our services. Radon remediation is a very effective solution to reducing radon in your home or business, often our systems lower radon levels by over 90%. The systems we design and install come with an 5-year warranty on all parts and labor. Our systems are specifically designed with the highest quality parts to be maintenance-free for homeowners. The remediation process starts with an in-home estimate done at the customers convenience, we make ourselves available on weeknights and weekends to facilitate a customers work schedule. If you have performed a test in your home and discovered high radon levels, you will be set up with a free in-home consultation. Our written estimates are thorough and include all aspects of the work to be completed. Reduce as much as 2 gallons of water vapor per day! How much does radon mitigation cost? The cost to install a radon mitigation system varies based on the complexity of the home. There are over 20 fan variations that we choose from depending on soil conditions and building types. On average, our systems cost $1200 for the complete install which includes post-mitigation testing with lab results. We design our systems to be maintenance-free and the only thing that will need replacement is the fan about every 10 years. We have seen fans last 20 years or more but when they do fail, a new fan can be installed for around $250. Our systems use all stainless steel fasteners to assure longevity of the system structure. How much does it cost to run a system? Using Central Hudsons average of $0.13/kilowatt, the average 60 watt fan will cost $38 per year to operate. We prefer to use Energy Star rated fans on our installs. How long will it need to run? The fan needs to run 24/7 as the radon needs to be diverted by the functional system. If the fan were to turn off the system would still divert radon, just not as effectively. Most of the installs take around 5-7 hours and can be completed in one day. In basements with multiple foundation levels or crawlspaces it could take 2-3 days depending on complexity. Sub-Slab Depressurization (SSD)- This mitigation method involves drilling a hole in a basement slab and creating a vacuum point to extract radon from beneath the slab and release it above the structure’s roofline with installed vent piping. Communication tests are performed to optimize suction points for better air flow. Sub-Membrane Depressurization (SMD) – A high density polyethylene sheet laid on earthen crawl spaces and edges are sealed on the foundation walls with polyurethane. This creates and airtight seal under the sheet where we can install the radon system to create depressurization. This method has the added benefit of reducing moisture in the crawlspace. Sump/Drain-Tile Depressurization (DTD) – The process of using an existing sump pump or drain tiles. By applying a vacuum to these areas one can very effectively collect radon laden soil gas without effecting the integrity of the systems ability to collect and divert water from the home.